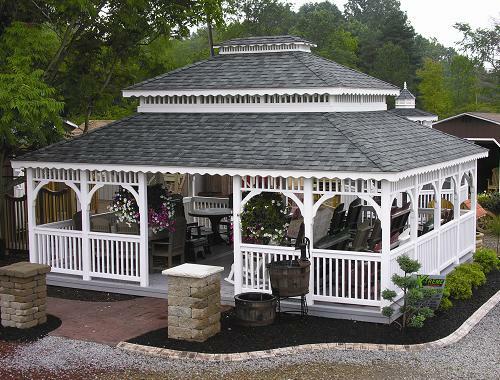 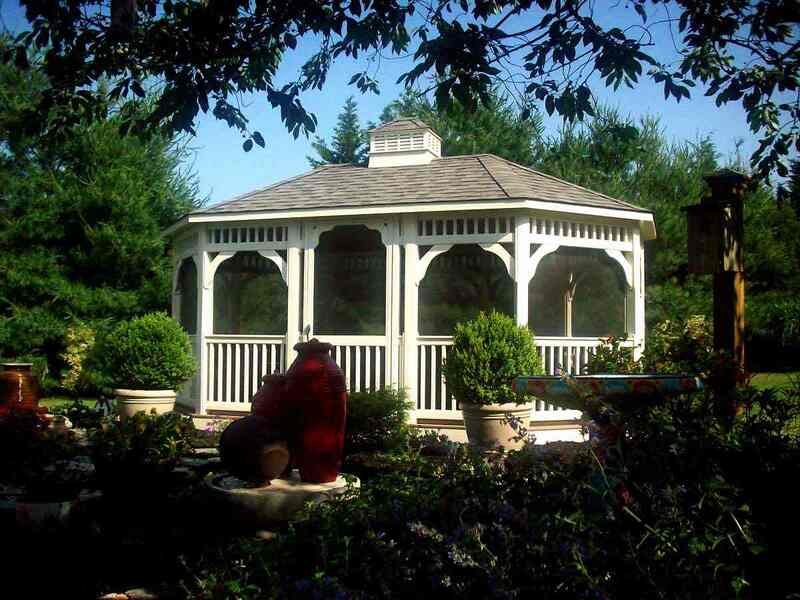 Nothing adds a touch of elegance to your backyard like a gazebo does. 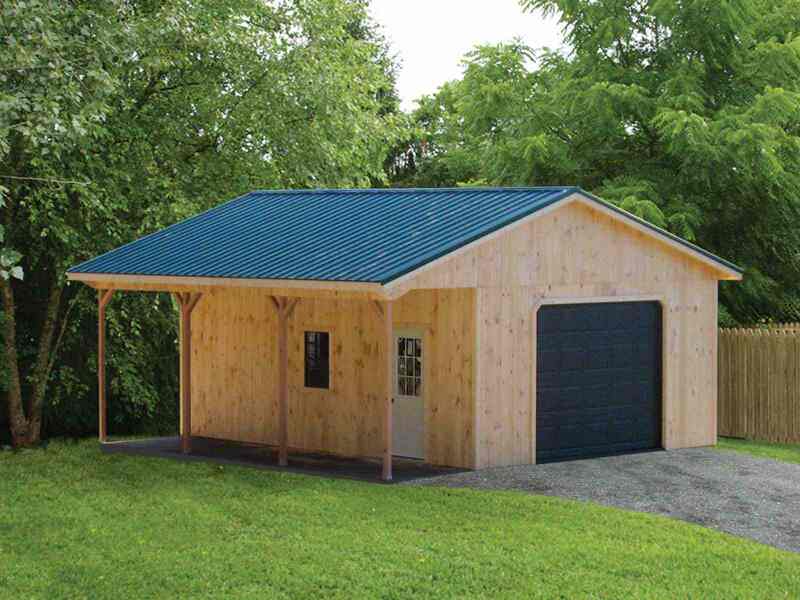 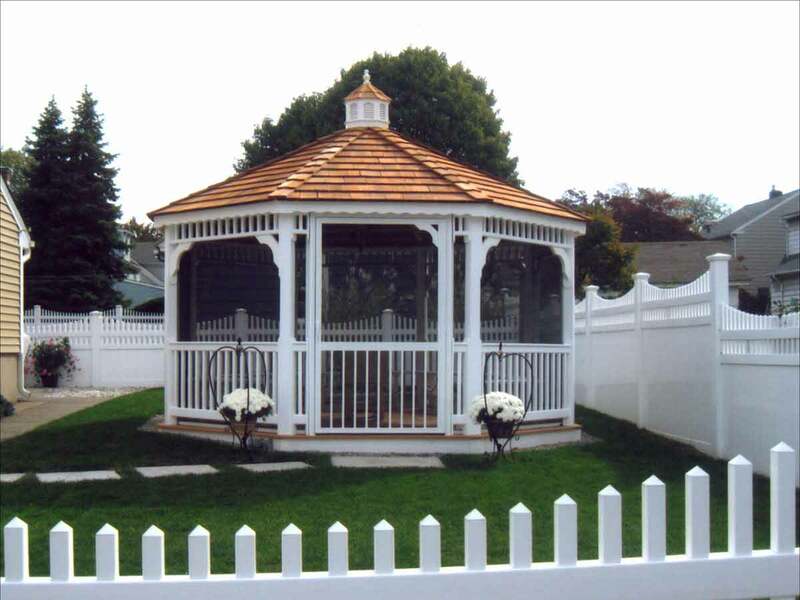 They are the Swiss Army knife of entertaining structures because they look great whether they are standing alone, or built in to part of your external home structure. 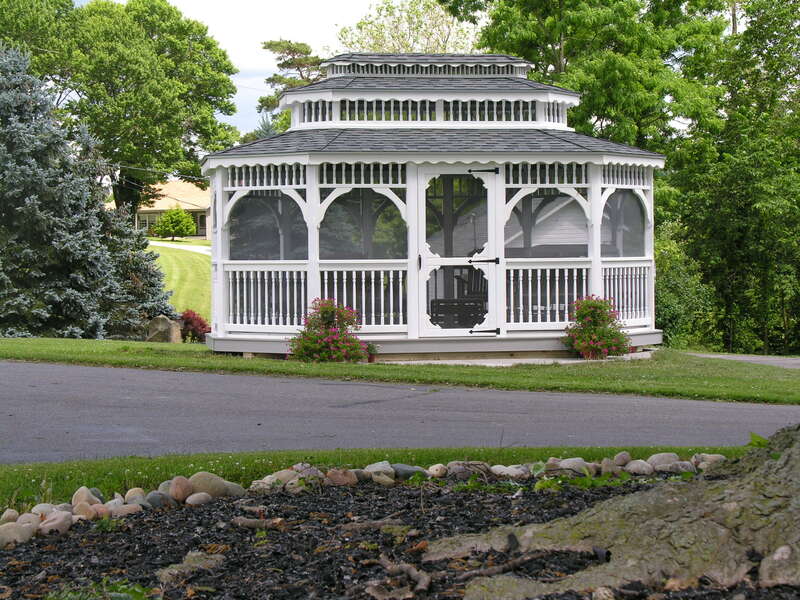 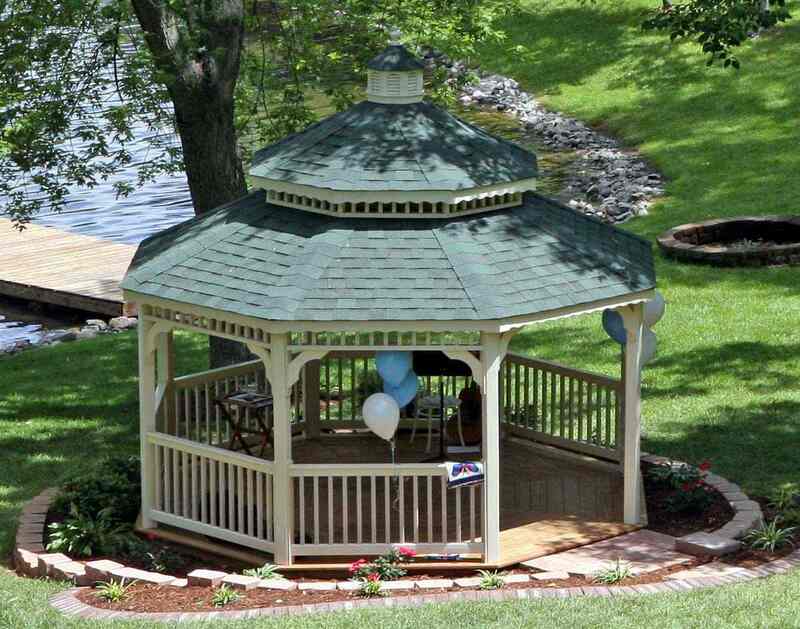 Besides the traditional placement as a centerpiece for garden lovers, gazebos go great with water. 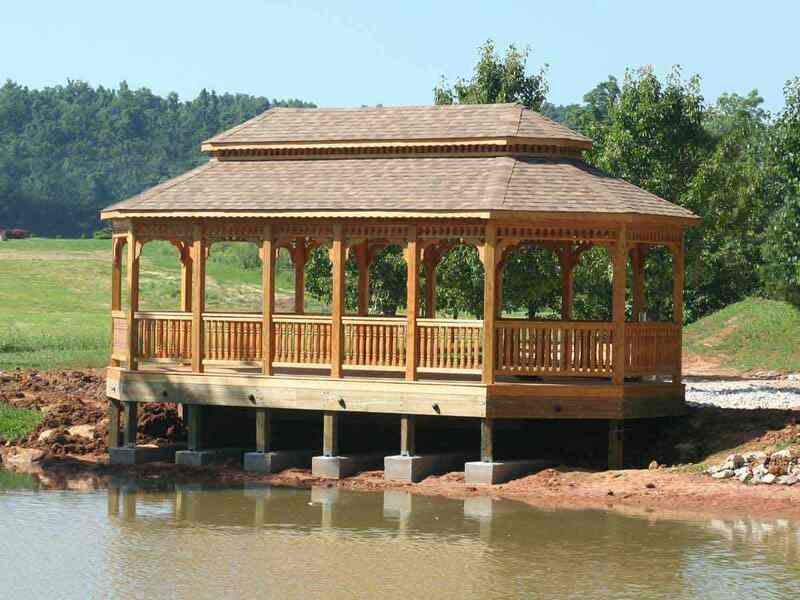 Many customers purchase a gazebo to put next to their pools, but they also make great dockside shelters for homeowners who have a pond, lake, or have waterfront properties. 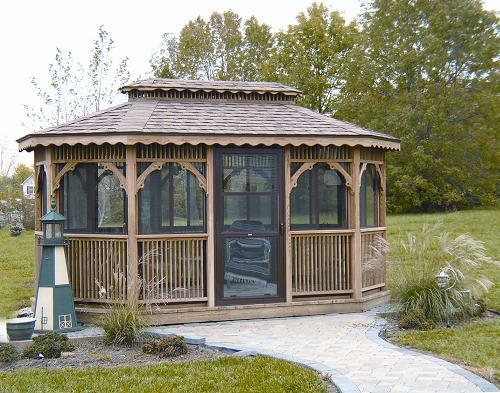 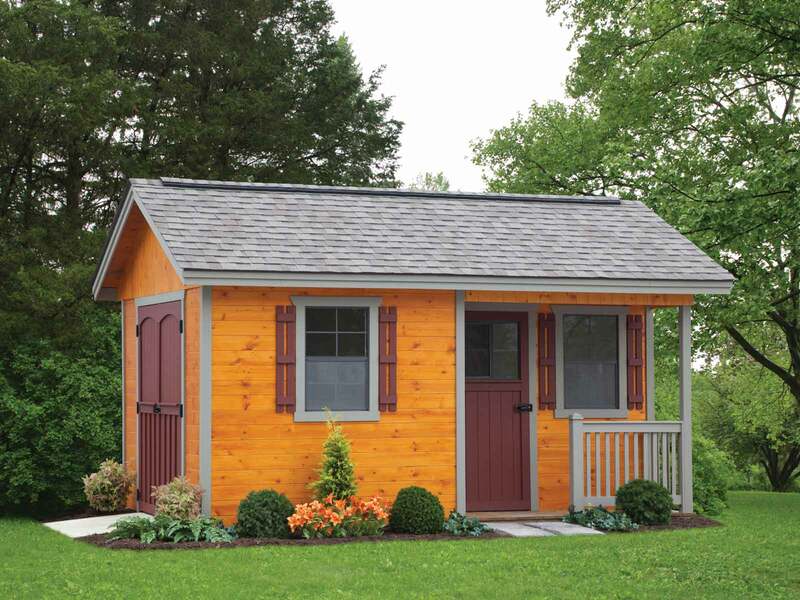 By adding in a “screen package” they can enjoy bug free evenings of relaxation next to the water. 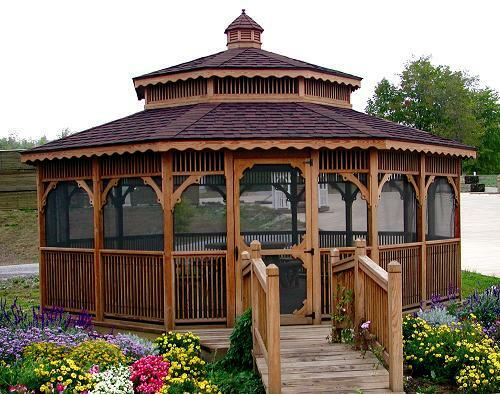 Gazebos look especially exotic when built in to a single, or multilevel deck. 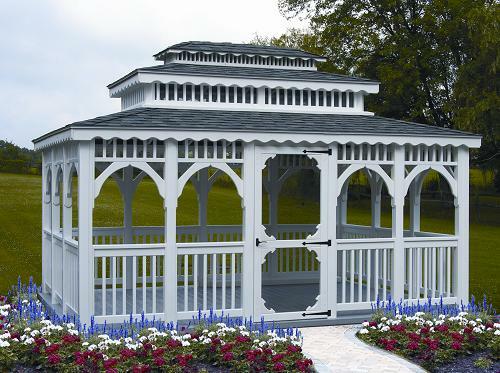 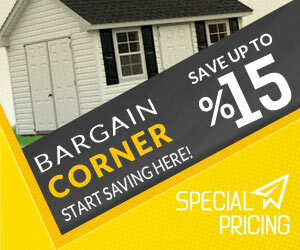 They also make a great insurance policy against rain should the weather turn ugly in the middle of your big planned day. 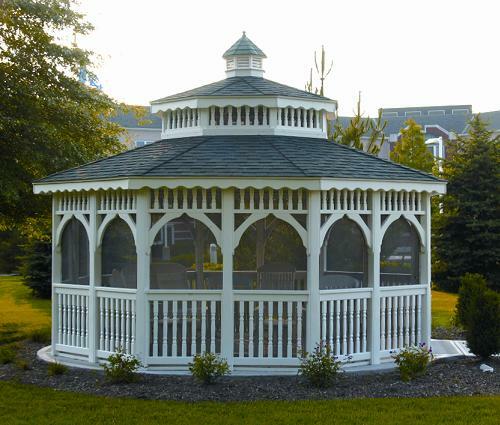 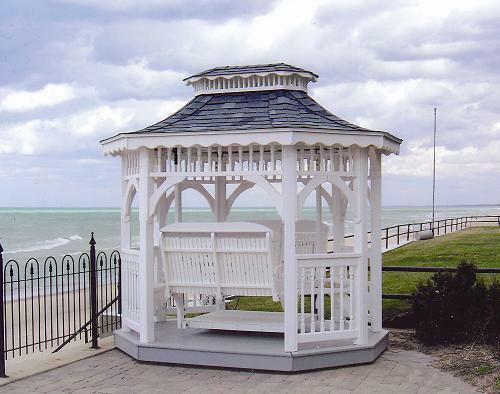 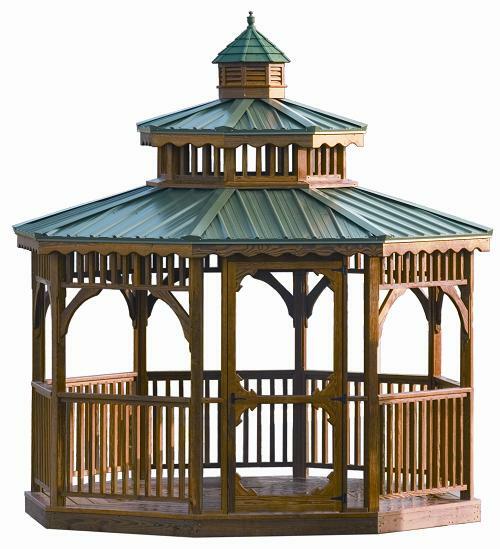 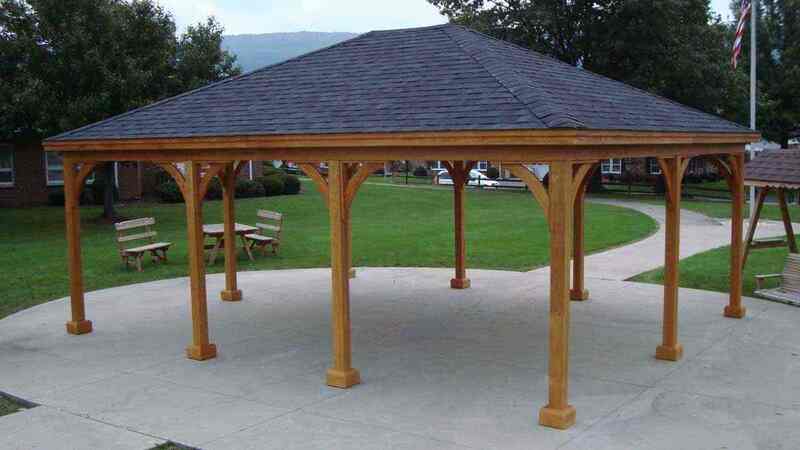 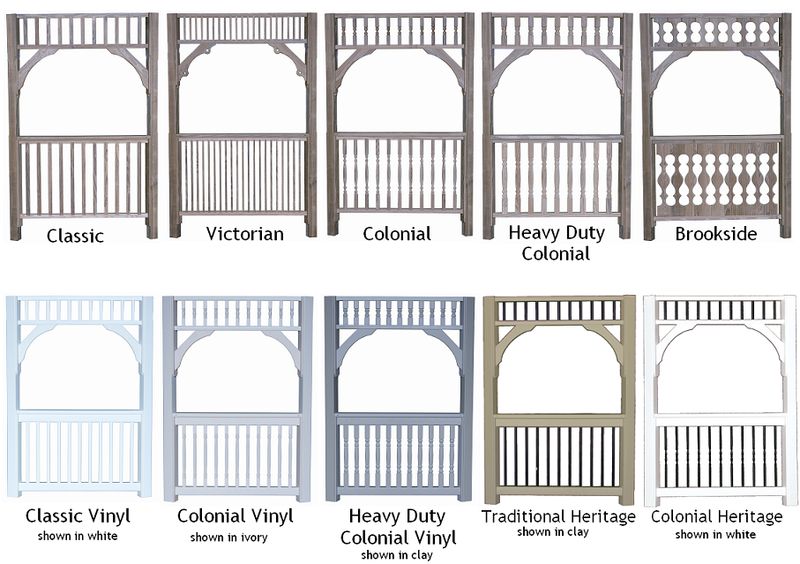 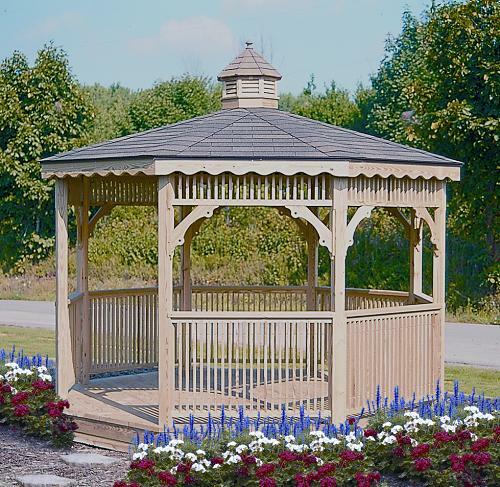 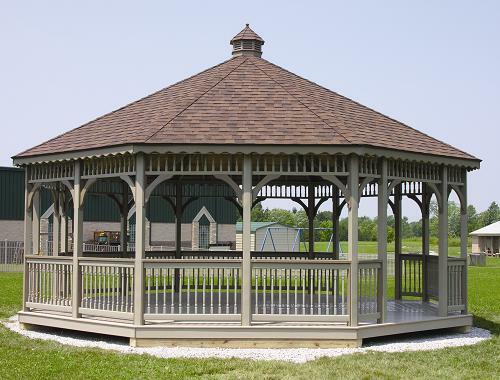 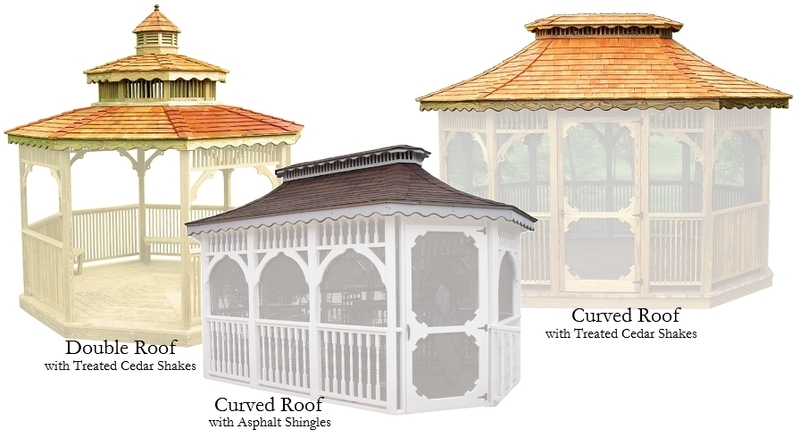 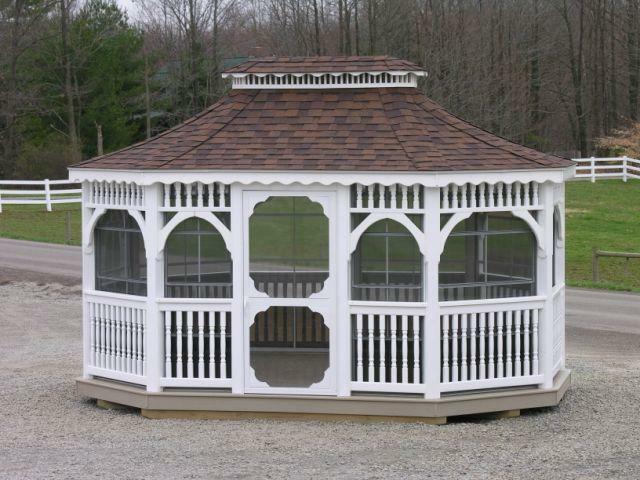 Our gazebos come in wood or vinyl, square, octagon or oval shaped, with or without a floor, and options for screening them (complete with doors), painting or staining in colors of your choice, and more.